I am in the midst of enjoying vacation. All the coffee I can drink, amazing breakfast and dinner prepared every night and lots of outdoors time. It is heavenly here. 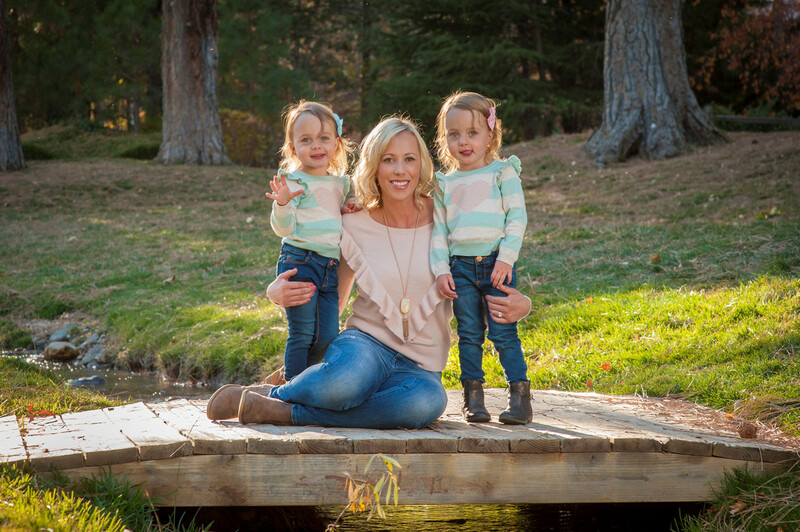 Today I am linking up with Jenn and Jessi for What's Hap-Pinning. I am ALWAYS searching for summer recipes and I have been pinning away in hopes of making some of these when we get back from vacation...because I am eating dessert every night without a care. At least I won't care until I get back. This pineapple salsa looks so good. We are always eating Mexican food and what better way to change up a side dish or appetizer with pineapple salsa. I can't wait to try this and add a margarita with it. These grilled shrimp tacos would go perfectly with the pineapple salsa above. I love how light and yummy this dish sounds. I love cucumber salads. I used to make them all the time, but haven't as much lately. 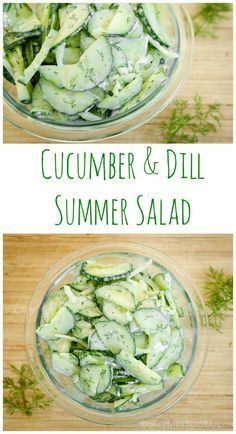 But we are growing our own cucumbers again and this salad is perfect for it. Plus we have some dill growing too. Super simple and it uses greek yogurt instead of mayo or sour cream. Yum. Not sure this is super healthy, but it has my favorite things. A caprese garlic bread. It would be perfect for a dinner party or pair this with some prosciutto, salami and pepperoni for an Italian style lunch or dinner. This is the fruit salsa that our favorite brunch spot gives us every time we go. The girls love it. It is so fresh and yummy. Now I can make it at home. I love Mexican corn, but it is no secret that it isn't that healthy for you. That is why this version is so much better for you. It doesn't use mayo. Instead it uses greek yogurt. Sign me up! 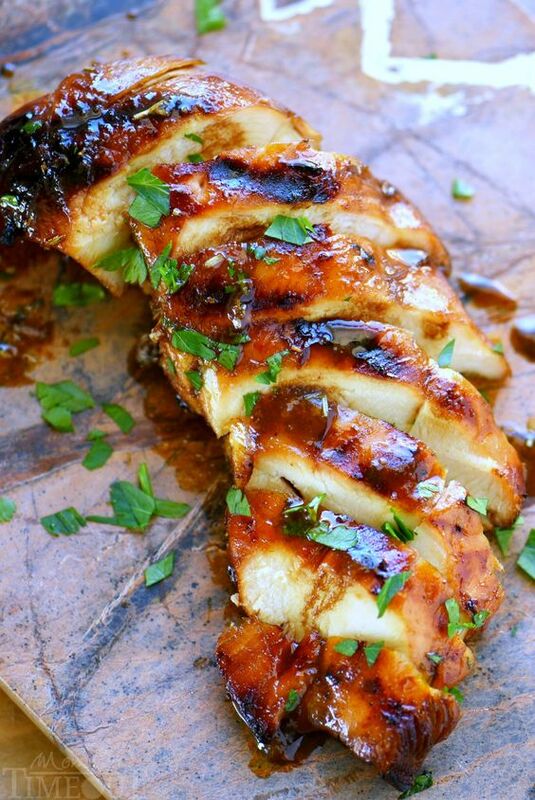 I love a good piece of grilled chicken, but grilled chicken needs a good marinade on it or bbq sauce. This marinade looks pretty easy and most of these items I have on hand. I can't wait to try it. I made that Pineapple Salsa for my favorite things party. It is so yummy! You will love it. I was about to say I think Jess made that salsa once! It looks so good! All of those recipes look right up my ally. That caprese garlic break.. Yum! Yummm! I am pinning those grilled shrimp tacos and that corn for sure! Hope you're having a great time on vaca! Ooh definitely going to try that version of corn! The corn. That looks yummy. All of these look SO good! And relatively simple it looks like! I've made the strawberry salsa before and put it on cinnamon pita chips with chocolate drizzled over it! So so so good! That pineapple salsa looks AMAZINGGGGG - I could eat that all summer long! Oh my goodness I WILL be trying that Pineapple Salsa! Pineapple is probably my very favorite fruit. I could eat it all day long. I hope you're having the very best time! I can't wait to hear all about your trip! That pineapple salsa sounds so delicious! Keep on enjoying your trip - sounds so nice! I love that fruit salad. I'm always looking for fun new things to bring as side dishes to stuff too. Hope the vacay is AMAZING!